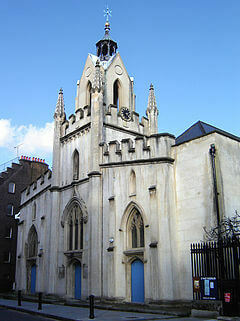 Bermondsey lies near the centre of London, just 2.5 miles away from Charing Cross and in the borough of Southwark. There are many sites of interest within Bermondsey such as Tower Bridge, HMS Belfast and the Fashion and Textile Museum, the only one of its kind in the UK. Being in the heart of the city, road access can be congested but the A200 provides a direct route. By contrast public transport links are excellent with the Tube station lying on the Jubilee Line. Here at Lanes School of Driving we have an impeccable track record with more than 100 years of experience. 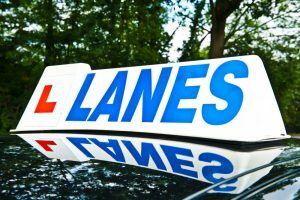 First set up in 1914, Lanes has grown to become one of the largest independent UK driving schools with around 100 cars on the road. Lanes has been owned by Keith Paine since 1976, and this consistency means we have been able to build our business around our students, focusing on delivering the highest possible standards. 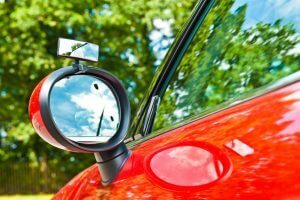 Our driving instructors understand that every student is different and use their many years of experience to create lessons which suit each individual. We know that fitting driving lessons in can be difficult when you are juggling lots of commitments so we offer flexible appointments that will fit in with your lifestyle. Our lessons are also carried out on a one-to-one basis so that you won’t have to worry about being distracted by other students in the car. Not being able to drive means it can be more inconvenient to travel to a location, and this is why Lanes will always pick up students from their home. This makes lessons far easier to organise and coupled with the latest in-car technology, means that every lesson provides the best possible setting to learn at a pace that suits you. Lanes only use driving instructors who are qualified to the top DSA Approved Driving Instructor standard and have many years of experience. A large number of the instructors at Lanes began their training with us and gradually advanced, which means we can vouch for their knowledge and expertise. We believe that continuity is essential when you’re learning to drive so all of our students will have the same instructor for each and every lesson. This allows the instructor to develop an understanding of the student’s specific needs and develop an appropriate lesson plan. or send us an email via our contact page by clicking here. We have a team of highly experienced driving instructors which include both male and females. It’s not uncommon to feel nervous about getting behind the wheel and if and of our female students would feel more comfortable with a female driving instructor we are happy to oblige. Our students who have a female driving instructor often report feeling more relaxed which can help to promote learning. or email us by clicking here to find out more. Drivers of manual cars often say they prefer having gears as it gives them greater control over the performance. Although this may be true, driving an automatic is much easier and far less daunting to learn. With an automatic car you don’t need to worry about stalling or jerky gear changes, helping the student to make more rapid progress. or get in touch with an email via our contact page by clicking here.